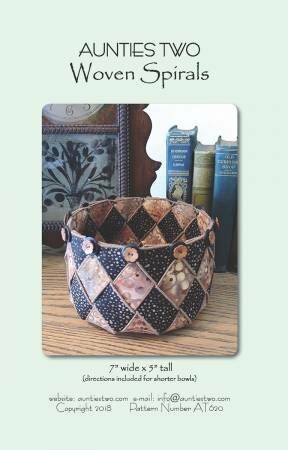 Join Linda for this fun class and make a unique bowl woven from 2 fabric spirals. Requirements: You must have the Woven Spirals Pattern for this class. Two half yards of coordinating fabrics and 1 yard of Peltex 72F fusible heavy interfacing will be needed along with thread to match or contrast. Buttons are optional. Please bring your sewing machine, basic sewing notions, Large fabric scissors and binding clips.